Pet Vaccinations for dogs and cats are an important part of healthcare. Pet vaccinations are an important part of your dog’s or cat’s healthcare routine. Dr. Whitworth and the staff at Whitworth Animal Clinic are pleased to provide the people of Madison, AL, and surrounding areas with pet vaccinations and information regarding vaccinations for companion animals. You may not realize it, but many serious diseases are easily prevented with a routine vaccine and booster once a year. There are certain diseases that are highly contagious between animals of the same species and can linger in the environment for quite some time resulting in delayed exposure. Canine distemper, parvovirus and canine influenza are all infectious diseases that can result in death, even with treatment. Feline leukemia, feline infectious peritonitis (FIP) and feline immunodeficiency virus infection (FIV) are all non-treatable diseases that are highly transmittable by contact between cats. Feline distemper (also known as panleukopenia) and canine parvovirus cause severe vomiting and diarrhea, dehydration, loss of gastrointestinal mucosa, and a marked decrease in circulating white blood cells, making the dog or cat susceptible to other disease due to immune system deficiency. Canine distemper frequently starts off with upper respiratory symptoms, such as increased nasal discharge and sneezing and can result in central nervous system disorders such as seizures. It is frequently seen in puppies but can infect older dogs as well. Canine distemper is highly contagious and frequently fatal. Rabies, transmitted by the saliva of infected animals (commonly possums, raccoons, and bats), is a virus of the central nervous system and is 100% fatal. Rabies is a zoonotic disease, meaning it can pass from animals to humans. As part of a public health initiative, Rabies vaccines are required by law in Alabama for all dogs and cats that are 12 weeks of age and older. They are either a 1 year of 3 year vaccination. There are certain criteria for a pet to receive a 3 year Rabies vaccine. Bordetella, or kennel cough, is another upper respiratory disease we vaccinate for at Whitworth Animal Clinic. 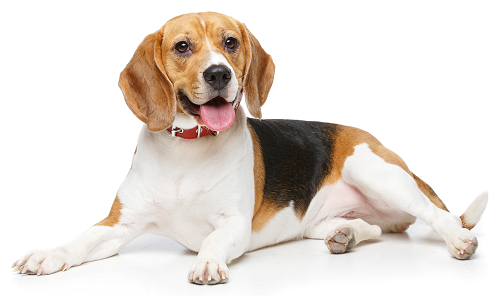 Bordetella is airborne and is highly contagious, especially in close quarters, resulting in a severe cough. It is a bi-annual required vaccine for dogs to stay here at our clinic and is strongly recommended for any dog that frequents other grooming or boarding facilities, dog parks or pet friendly businesses. Lyme Disease is the most common tick-born disease found in North America. This pervasive disease is caused by the bacteria Borrelia burgdorferi, which is transmitted via the tick’s bite directly into your pet’s bloodstream. The most common symptoms include sudden fatigue, a lack of appetite and inflammation of the joints, leading to lameness. The staff of Whitworth Animal Clinic recommends that you vaccinate your dog against Lyme Disease, especially if likely to go on camping trips, hikes or other outdoor activities with the family. These diseases can be prevented by routinely vaccinating your pets. Pet vaccinations are a simple part of a yearly visit. Just as in people, pets receiving vaccines, especially for the first time, can occasionally have a reaction. The most common is some redness and swelling of the face and muzzle (hives). Sometimes they may have and incident or two of vomiting or loose stool. If you notice any of these symptoms please call right away. If your pet experiences any kind of reaction, precaution is taken by pre-medicating them prior to giving vaccinations in the future. Some soreness in the area of the injection, lethargy and lack of appetite is normal and should resolve within 24 hours. Please call Whitworth Animal Clinic at 256-830-1503 for an appointment or with any questions regarding pet vaccinations. We also provide care for geriatric pets, eye problems, parasite infestations and so much more. We have a top-notch boarding facility and a super-star groomer. Let us be your veterinary practice of choice. We will not let you down.